Professional HRM Services Private Limited, a Company incorporated under the Companies Act, 1956. This Company is managed by professionals who have over a decade of rich industry experience. Professional HRM Services is a leading provider of HR Solutions and Services across various Industries. We provide Skilled and Unskilled manpower for various activities like Production support, Logistics, Machine Maintenance, Loading & unloading, Delivery activities, etc. on fixed term contract. 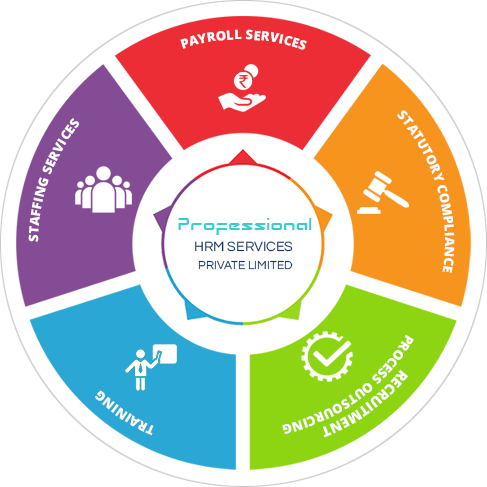 We are also into the business of Permanent staffing, Recruitment Process Outsourcing, Payroll Outsourcing, Training and Statutory Compliances. Today the staffing function has assumed greater importance because of rapid advancement of technology, increasing the size of the organization and complex behaviour of human beings.We at Professional HRM provide complete staffing solution. With the ever-changing employment laws, it becomes a challenge for companies to keep themselves compliant. At Professional HRM we offer compliance services that perfectly meet your organisation's requirements. Our RPO is committed to deliver the best quality man power, at a reduced cost and time. Client can outsource either a part or full fledge recruitment activity to Professional HRM. We offer a variety of training which are focussed on enhancing individual achievement and success. Our training programs are offered through classroom training, on-line training, corporate training and individual training sessions. words which don't look even slightly believable. If you are going to use a passage .